In today’s interview I get to speak with the daughter of Jordan Peterson & Don’t Eat That blogger, Mikhaila Peterson, about how changing what she ate relieved her of a myriad of serious health problems, including severe arthritis and depression. Mikhaila is very passionate about how her carnivore diet can influence her short and long-term health and wellbeing. Her journey to health has been an inspiring one. Having suffered from ill health most of her life she decided to forgo traditional dietary advice and take matters into her own hands. In today’s interview we get a chance to talk about why she decided to change her diet and how working on an elimination diet she found a strict carnivore diet resulted in a remission from her severe rheumatoid arthritis, depression and other persistent health problems. If you know someone who is struggling with similar health concerns including rheumatoid arthritis, autoimmune disease, depression and fatigue and is wondering how diet could help, this interview is for them. I enjoyed this interview with Mikhaila because listening to positive case studies and dramatic ones like Mikhailas’ can help others who might share similar issues. It just adds to the point how important what we eat can influence our health in so many ways. Special thanks to Mikhaila for joining me on the show. Enjoy the episode! For more information visit Mikhaila’s blog called Don’t Eat That or follow her on Instagram, Facebook or Twitter. She also has her own Patreon page for people wanting one on one consultations. For even more carnivore diet expert interviews check out this Youtube playlist with Dr Shawn Baker MD, Amber O’ Hearn and Kelly Hogan. [00:19] – Introducing Mikhaila Peterson, who runs a blog called Don’t Eat That where she shares the inspiring story of how changing her diet resulted in a drastic change in her physical and mental wellbeing and has kept her auto-immune disease and depression at bay. [01:25] – Mikhaila’s health problems started very early in life. She was diagnosed with juvenile rheumatoid arthritis (age 7) and depression (grade 5), she suffered from extreme fatigue (age 14), had to have a hip and ankle replaced (age 17), started putting on weigh at a rapid rate (age 20), and suffered from rashes and cystic acne that wouldn’t heal (age 22). She was also diagnosed with idiopathic hypersomnia and was on a high dose of amphetamines for two years. [07:50] – After a whole lot of research and a 23andMe DNA test, Mikhaila uncovered she had the celiac gene and could very likely benefit from cutting out gluten. However, other than some slight improvements, nothing happened. She continued experimenting and eventually went on a strict elimination diet where she finally saw an improvement in her arthritis, skin and mood problems. [12:25] – Mikhaila explains that she tried to reintroduce different foods, but had poor results. After seeing her dad suffer with similar health problems – depression, tiredness, GERD, weight gain and psoriasis – she convinced him to give the elimination diet a go. [15:36] – Before her pregnancy, Mikhaila was eating a fairly strict diet of meat, a few vegetables, spices and coconut oil. However, getting pregnant changed how she reacted to food again and even though her symptoms were lessened from before the diet change, she still experienced bouts of depression. [17:37] – Restricting her (and her dad’s) diet further to meat, salad and olives helped a little, but there was still some anxiety that wasn’t going away. After the birth of her baby and after a good amount of research learning about Charlene Andersen and Dr Shawn Baker she was reassured a carnivorous diet is safe and she decided to go all-meat. Initially she experienced diarrhoea and bloating but after the transition period was over she felt better and all her symptoms went away. [19:59] – After Mikhaila’s mother also decided to try the carnivore diet and saw significant improvements in her osteoarthritis, her dad was finally convinced to ditch the salad and try it himself; he felt improvements in two days and is still improving. [23:46] – A great benefit of an all-meat diet is that Mikhaila doesn’t have food cravings anymore. She is also less hungry and doesn’t experience the same hunger pangs. She explains how the way we think about hunger and fullness is wrong when thinking about carbs. We tend to be stuffed, but still hungry. [28:11] – We’ve been mentioning Mikhaila’s dad, Dr Jordan Peterson, for those who are not familiar, Dr Peterson is a well-known psychologist, professor and author of 12 Rules for Life: An Antidote to Chaos book. [28:53] – Another benefit of the carnivore diet is in its simplicity. Keto and paleo diets can both be somewhat overwhelming for people who aren’t comfortable in the kitchen. It can be difficult figuring out which foods we can tolerate but carnivore is easy for anyone. [30:44] – Studies have shown that with each pregnancy a woman’s microbiome depletes which can result in food sensitivities. This is something Mikhaila has experienced herself as she was able to tolerate more types of food before her pregnancy. [31:24] – Mikhaila explains that she only eats beef as this is what she responds the best to, but her family members eat different types of meat including chicken, fish and pork. [33:03] – Is there a fibre issue with the all meat diet? Most people will experience a transitory period when changing their diets. With the carnivore diet this means some bloating and diarrhea which resolves itself after a month or so when things return to normal. Mikhaila recommends sticking with it for at least a month. [36:43] – It could be that we are reluctant to go all meat as we worry we will miss other foods. There is often an emotional attachment to certain foods, however, in time, these cravings go away completely. [39:32] – Prinicpia Carnivora and Zeroing In On Health are a couple of examples of Facebook groups where people on carnivore diets still eat eggs and dairy. Mikhaila believes dairy is not good for people especially if they have an auto-immune disease. [41:24] – Are fatty meats preferable? Mikhaila explains how the longer she was on the diet the better she got at digesting fat. It took some time for the body to adjust and now she is moving over to fattier cuts; she believes it’s the fat that’s making her feel good. 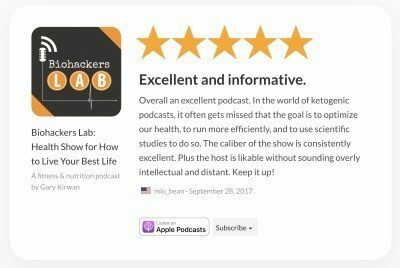 [44:46] – People who have tried the diet have had some great responses with weight loss, brain fog and anxiety especially, but also with diabetes, ankylosing spondylitis as well as other types of arthritis. Mikhailas’ top tip is if you start to feel tired on the diet, try eating more. It is common for people to underestimate how much they need. [48:15] – Mikhaila is not planning to include other foods into her diet as she doesn’t want to risk any bad reactions. She enjoys her meals, it’s easy and quick and there are less dishes! The only down side? Ordering at restaurants is weird and a lot of places don’t have food options. [50:50] – To follow Mikhaila and find out more find her on Instagram, Facebook or her blog where you can also sign up for her newsletter. Mikhaila is also on Patreon where you can support her or sign up for monthly sessions to discuss how to solve health problems through diet. Thank you I am so blown away with this information – I have been back and forth still eating carbs too often. Reading this has given me the courage and motivation to eat all meat only. Great show and congratulations on persisting through most complex mountains of information and dibilitating pain. Your presentation is most compelling and inviting. Your journey will be worth watching. The idea of fat being a buffer to pousons difficult to expell is i interesting and correlates to the research of Dr. Ray Peat. Have you incorporated his work into your process? His recamensation has been to take Niacinamide and aspirin at bed time to assure all toxins being released from fat stores are most safely disposed through the intestins with less chance of reinflamation because “endotoxin” absorption is avoided. Another discussion of his research you may enjoy is his work about well cooked vegetables vs raw or lightly cooked. Becauae your results address deeply confusing and all too common diseases not yet properly addressed by alopathic/pharm effectively, I hope you will continue gleaning the best research and sharing the individual anecdotal results. Hope you look into contacting Dr. RAY Peat @Raypeat.com and the forum around his work. You and your families DNA to dinner table dynamics are a great template for research and solutions. Hope to hear more of your work. Thanks for taking the time to put in the topics with timestamps! What diet she’s into? Keto or Atkin? Hmmmmm… I’d like to know what other things can be included with meat preparation. For example can you use Montreal steak spice (high in salt and peppers) on your steaks? What about ground beef? Can you use sauces? What if you have high blood pressure where salt is a killer.. What about other seasonings and spices? How do you keep eating such a limited type of food from getting so boring?